With a heavy heart, the popular, long standing Half distance event on one of the countries best half bike courses has been deleted. With athletes choosing to support a billion dollar corporation owned by the chinese versus a Michigan based small business we had to make this unfortunate decision. Kenny's father designed this course years ago before he passed so it is a sad decision for him. The beautiful Lake Huron port town of East Tawas hosts our Festival of Races. The jewel of the east side of Michigan’s coastal tourist destinations is perfect for one of the country’s best Half Iron distance events. Plenty of shopping and restaurants await you on Newman Street, which will be transformed into Triathlon Central as the Festival of Races takes over the street. With the finish on the first block and transition area on the second, this is a perfect venue to keep friends, family and spectators busy with what all Downtown East Tawas has to offer. The swim venue is perfect, on the bay in crystal clear Lake Huron, with a swim along the shoreline. Spectators enjoy the perfect vantage point on the pier, white sandy beach, and a huge park to host the pre and post race festivities with live band and catered post race meal. The bike and run courses are second to none. The run course takes you out past the finish line, past some quaint shops and through the residential area to the turnaround point. Then Downtown East Tawas and Newman Street host the best finish line in the state! 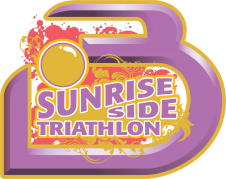 "Great way to wind down your season, fun clear cool swim, my favorite bike ride, smooth roads that challenge you all the way, with a nice run that has some great volunteers cheering you on!" "You guys are really the best triathlon folks in the state, and I wanted to say that emphatically even though I’m guessing you get your fair share of complaints. No other company "gets" the experience as well as y’all. Best wishes with the PowerMan series, and I’ll see y’all next summer! Cheers!" -Todd S.
There is city parking throughout town. Please follow all city parking ordinances. Registration/Check-in is located at the city park on the corner of Newman and 23, between the city campground and Tawas Bay Beach Resort under the tent. Due to an increasing amount of athletes entering events they may not be properly trained for, we are first asking each athlete to be responsible and honest. Due to safety concerns for everyone involved including you the athlete, but also the support crew volunteers and officials like police, sheriff, fire department, etc. we must instill course cut off times at 4 hrs. Raffle and awards start at 3 hrs and 30 minutes in Olympic distance events and 99% of all athletes are finished by that time. So you must register for the event you will finish under that 4 hour time limit. Being a responsible athlete means if you cannot complete the Olympic distance comfortably under that time we recommend you participate in the sprint event. For this event with the Half Iron distance an athlete MUST be able to complete the Half distance comfortably by 3:00pm or 7.5 hrs. The course will be closed at 3:00pm.